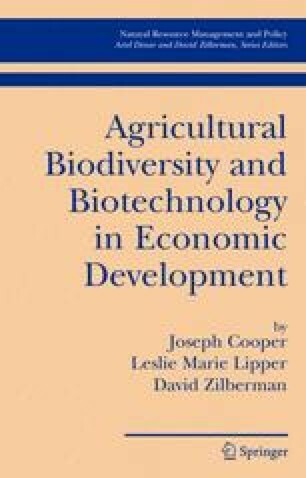 The previous chapter addressed the question of what is the most economically efficient method of distributing the agricultural biodiversity conservation funds from the International Treaty on Plant Genetic Resources for Food and Agriculture among countries and world regions. This chapter uses game theory to extend the analysis to take into account the possibilities for players, i.e., countries receiving the funds, to form coalitions with respect to obtaining the funds. The analysis applies the Shapley value concept of an n-person cooperative game to determining distribution of the funds at several levels of the negotiating process, e.g., at the country, world region, and fund administrator levels. Using this approach, the impacts of players’ bargaining power on the resulting allocations can be empirically assessed. Furthermore, the approach allows us to explicitly account for potentially competing interests of the players, thereby introducing some equity to the allocation.